Lemme speak a tiny bit on Portuguese Settlement. Those I think I am familiar with instead of taking the easy way out by cutting and pasting, obviously in academic terms we call it “plagiarism”. Plagiarism indeed is a rampant madness attitude even among the self-proclaimed top-notch bloggers, all in the name of fanning for popularity, fame, likes and followers. The best part of it all is that people actually fall for copied crab stuffs instead of believing those who share their sincere, genuine and honest real-time experiences. Wish I can shame those copycats who evidently have not the mastered the art of copying, sadly though. Sad isn't? I should mill them through "Plagiarism" software. Regardless, I shall mind my own business instead of wailing my time on what others do, let me now tell you what's in store for you in Portuguese Settlement. By far, all in all, Portuguese Settlement is not lacking in true profound popularity and fame too. Dating back to the 16th to 17th century colonial period, Portuguese Settlement's genuine history I believe is clearly documented in the knowledge book of Melaka. If I am to speak further on Portuguese Settlement, I should mention the era of back then Alfonso de Albuquerque, Vasco Da Gama, the spice trade and Straits of Melaka. 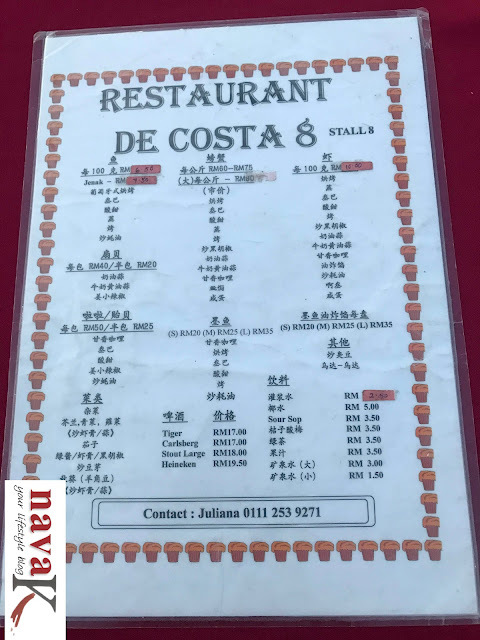 These facts, I am assuming you may have gasped or unheard of, yet I bet are the mind-mapping links to the Portuguese community in Melaka. Other than that, nothing much I can say because our trip to Portuguese Settlement was basically for a dining experience. At night only, mind you, a must try I was told is their fresh sea catch. 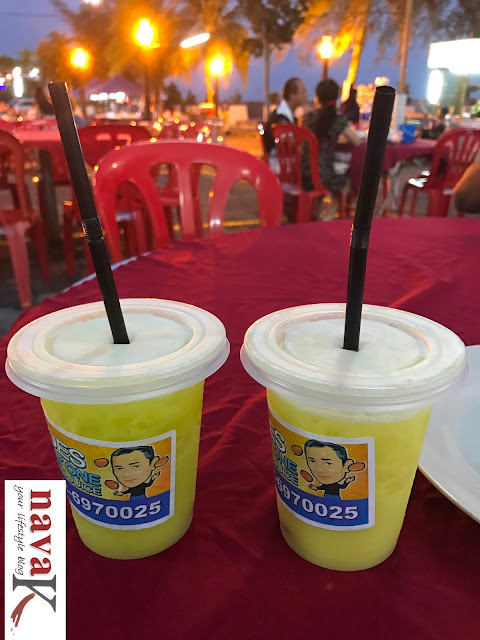 Of course, it should begin with enjoying the sea breeze upon stepping foot in Portuguese Settlement, or perhaps you should drop-by during their merry-making special festivals. 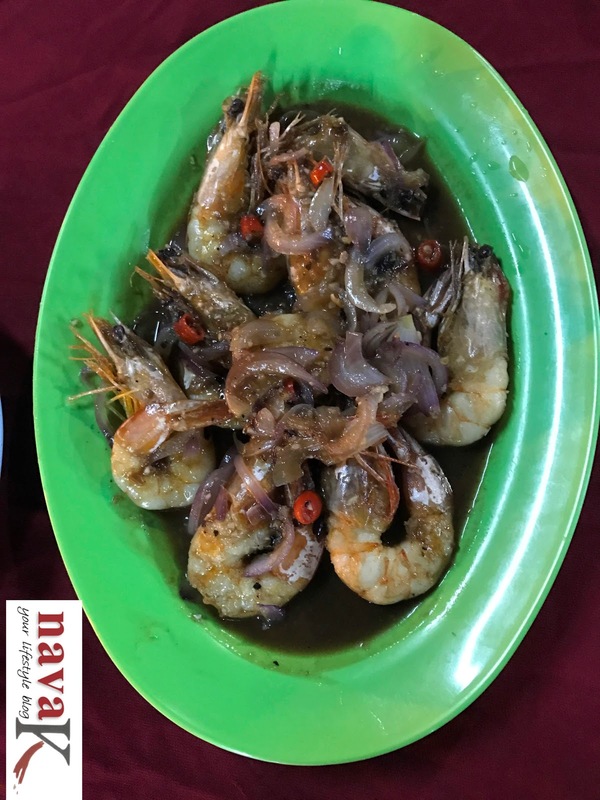 For us, as I have already said, seafood is the call, which I believe is the dotted line of Portuguese Settlement for drawing bus loads of tourists. I did. I definitely noticed the bus loads once we got down from Grab car, arranged by Jonker Walk Boutique Hotel (Melaka - Jonker Walk). Additionally, you should be prepared for traffic crawl, one which caught up by surprise during this off peak weekday season. Additionally, if you are driving to Portuguese Settlement, once you park at the big open car park, you will notice the food stalls. Yes, stalls, I won't dare say restaurants. Ordinary stalls, side by side, in a single file across the large dining area with plastic chairs and tables, and dimly flashing colorful lights. That's it. Oh, the other I must tell you is that, upon arrival, even before you have walked into this compound, you will be massively swarmed by at least twenty, or more or less people. I should address them as the marketers or promoters of the stalls/eateries. Salute them please because they are doing their job. 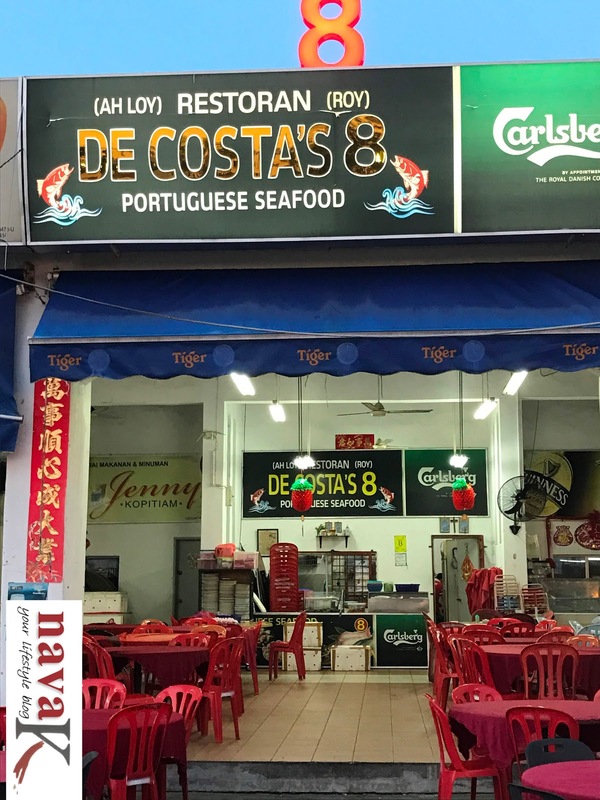 Look, its a competitive food tourism industry in Portuguese Settlement, as in other countries. Trust me, I have had my fair share of inside (Alor Setar Kedah & Port Dickson Negeri Sembilan) and outside Malaysia travel ventures (Dubai, Myanmar, Pretoria South Africa & Colombo Sri Lanka), but if you still feel the marketeers are trying to hassle you, no need to get all worked up. Don't join the club of those who claim they have seen the world, yet, ruffled their feathers for no apparent reason in their own country and when they travel (Sapporo/Hokkaido, Kochi/Cochin & Nami Island Korea), behave as if they deserve the best instead of remaining cool and compose. In Portuguese Settlement, it would be rather appropriate if you can politely decline or why shouldn't you consider the stall the marketers belong to? We on the other half smilingly walked away via the side cemented pavement, close-by the fenced up area and took our moment for admiring the glowing and fading slowly golden sun set. Beautiful. Awesomeness! Thereafter, within the next 10 minutes, we had to decide. Which eatery? Unfortunately, the one already frequented three times by the couple was close for the day. Oh-no-no! Decision time again. At this juncture, I think we were in front of Restaurant De Costa's 8, and how could we have possibly said no to the most adorable darling, akin angel lady who kept persisting? Fine. We agreed. Next of course was ordering after flipping through their plastic file menu. 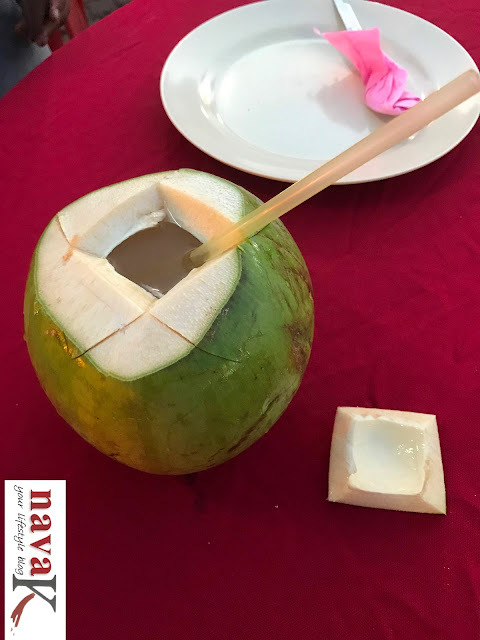 Subsequently, we opted for the supposedly fresh orange juice from another lady who walked up and down with a tray of the juices, thrown in as well fresh coconut from the cart stall. Food arrived, let's say within the next 10 minutes, we tucked in. Honestly, I don't think we should debate if seafood dishes specifically are the produce of fresh catch. They were indeed. Unfortunately, some dishes didn't encapsulate the big bold flavours we are accustomed to, neither made a lasting impact on our food senses. 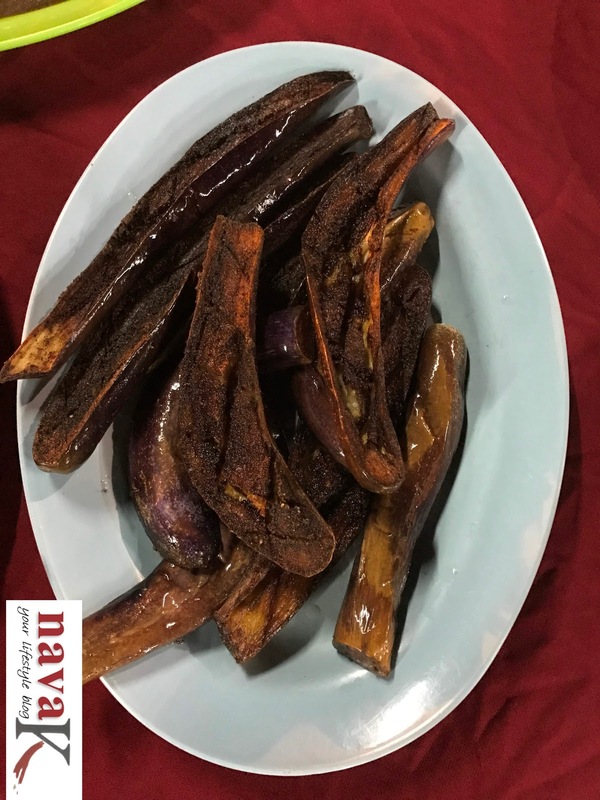 The simply grilled black pepper brinjal was an acceptable appetizer. Assam prawns cooked alongside birds eye chillies and shallots, soaking up in a tamarind gravy was appreciated. Petai sambal was okay, albeit didn't rekindle our appetite. 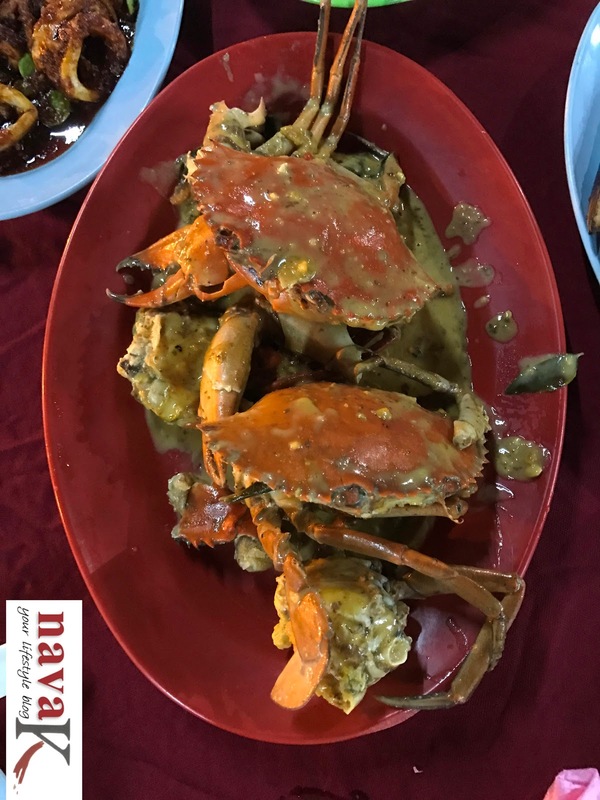 Salted egg crab didn't punch wake us up, whereas we didn't want to fork into sambal baked fish because we couldn't digest its raw sambal/chilli smell. Henceforth, I won't say that this is a splendour meal. Just average. Not cheap too. If I am not mistaken, we paid almost RM160.00. 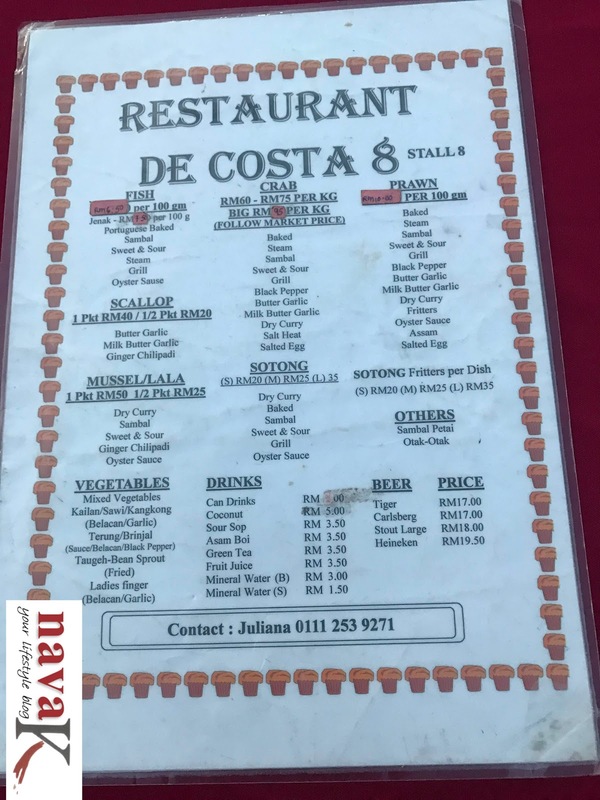 Having said that, glad I am that I came over to Portuguese Settlement for this dining experience. Will I return to Portuguese Settlement again? Maybe yes, may no, may I shall give a go to the other stalls. Returning back to Jonker Walk Boutique Hotel in the same Grab car, by the time I leisurely indulged in the foam long bath prior to walking out from the bathroom, the couple were already snoring. What, at 9.30pm? So early? What about me? What am I to do? Did I have any other choice? Not really because its rather quiet on weekdays in Jonker Walk, which seemingly been said as a breeding ground for crime mugging. Weekends I was told is pretty safe because the whole street is closed, which means motorbikes can't or won't dare show their antics. Stay tuned for Jonker Walk Part 2. I love that grilled black pepper brinjal, and the crabs look pretty awesome too. Your video makes me wish I was there. The place looks so peaceful. 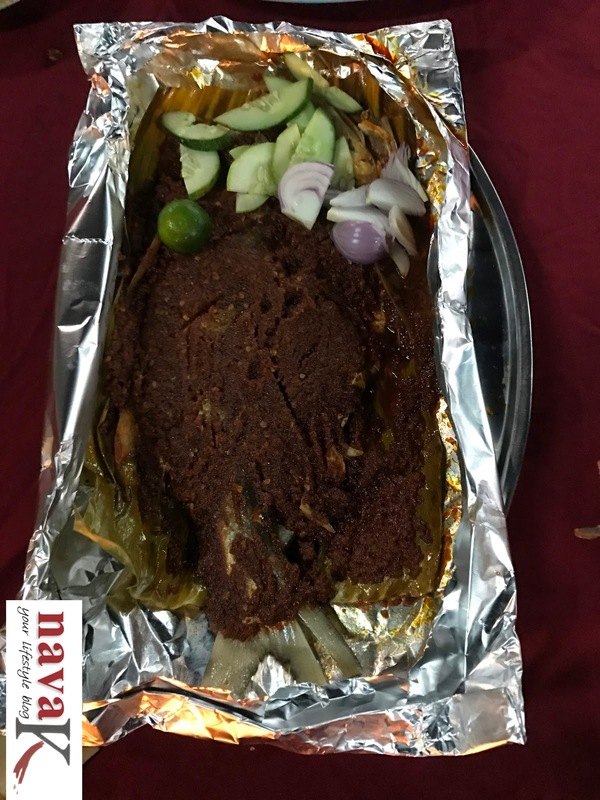 There r so many copycats around like tell more ... Our goan food has lots of portuguese influence and i love goan food bt crabs r not for me.. nice to read ur thoughts on this restaurant. Hi Nava, he black pepper brinjal look so appetizing and the seafood look so good minus the petai. :) Tried once but don't like it. 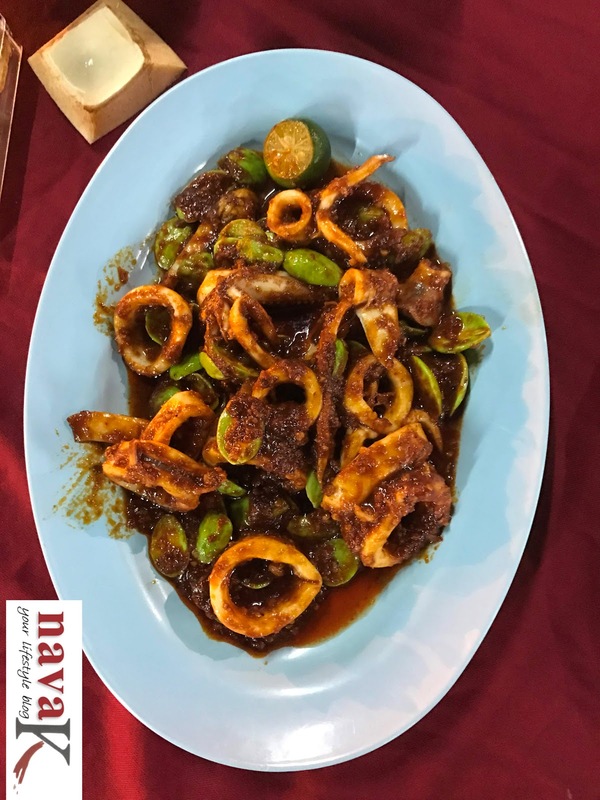 Thanks for sharing your wonderful makan mania. 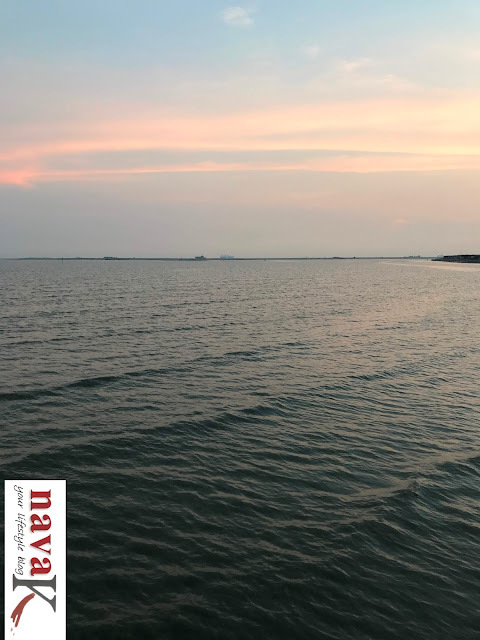 You are unbeatable when it comes to travelogues Nava.